At Home In Louisville Real Estate Group will be hosting two Open Houses this Sunday August 2nd from 2-4pm! 3447 Allison Way is a wonderful Ranch in Highgate Springs. 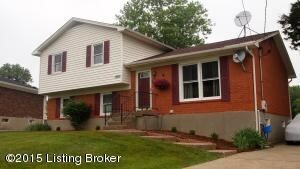 The home has three Bedrooms, two Full and 1 half Baths, a Finished Basement, 2 1/2 car garage, and fenced in yard! 823 Perennial Drive is a lovely move in ready Cape Cod. The home offers 3 Bedrooms, 2 Full Baths, a partially finished basment, 1 car detached garage, and yard with privacy fence & deck! Call 502-371-1173 today for more information about either of these properties or visit these fantastic homes in Louisville this Sunday! 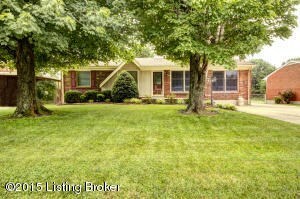 3447 Allison Way Louisville KY 40220 is a fantastic ranch style home in Highgate Springs. 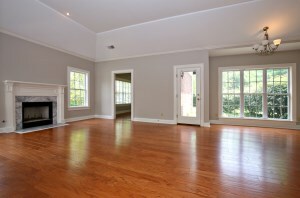 Lovely hardwood floors flow throughout the front foyer, Dining Room, Living Room, and Bedrooms. Enter to the Living Room showcasing a fireplace & natural light. The Eat In Kitchen offers abundant cabinetry & a comfortable dining area. The Formal Dining Room is accented by chandelier fixture. 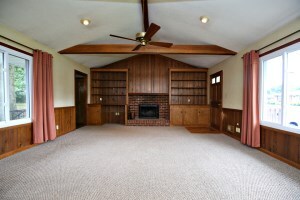 There is a large Family Room with vaulted wood beamed ceiling, built in bookshelves, & brick fireplace with elevated hearth. The main level of the home has three good sized Bedroom. There is a Full Bath in the hallway as well as a Half Bath attached to one of the Bedrooms. 3447 Allison Way Louisville KY 40220 has a Finished Basment with a good sized Family Room as well as two additional finished rooms that have been used as sleeping areas but have no egress. A Full Bath & Laundry Room with storage complete the basement. The property also offers a fenced in yard and 2 1/2 car garage. Numerous updates have been made including replacing the Front Storm Door (2014), remodeling the 1st floor Bath (2013), Side Storm Door & new Roof (2013), Breaker Panel Box (2012), Water Heater & AC Condensing Unit (2011), Gutters (2008), Appliances, Garage Door, & most Windows (2007). Call 502-371-1173 for more information about this beautiful home in Louisville. 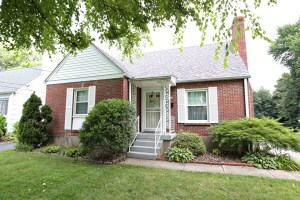 At Home In Louisville Real Estate Group will host an Open House in Louisville this Sunday July 26th from 2-4pm. Join us to view this newly listed home on Allison Way in Highgate Springs! The home has a variety of updates and features hardwood flooring throughout the Bedrooms, Dining Room, Living Room, and Foyer. The home has three bedrooms and two and 1/2 baths as well as a finished basement! Call 502-371-1173 for additional information or visit with us this Sunday from 2-4. 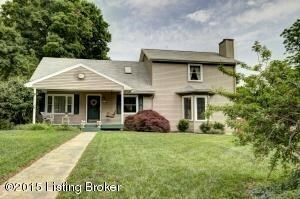 What Kind of Home Will $150,000 Buy in Louisville KY? Louisville has a great cost of living and a benefit to that is our average home sales price is around $175,000. Many first time home buyers stick to a comfortable sales price of $150,000. Want to know what that would get you around town? Check out the photos below to view recent homes available in the $150,000 price range in various sections of Louisville, KY. For additional information about these and other homes in Louisville, give us a call today! 2 bedrooms, 1 bathroom, 820 sq ft, & beautiful hardwood floors. 2 bedrooms, 2 full bathrooms, 2,164 sq ft, 2.5 car garage and a finished basement. 4 bedrooms, 2 full bathrooms, 2,100 sq ft, and a 2 car garage. 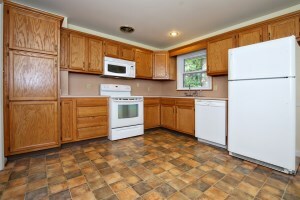 3 bedrooms, 2 full bathrooms, 1,636 sq ft, and completely updated. 2 bedrooms, 1 bathroom, 1,425 sq ft, and a partially finished basement. 4 bedrooms, 2 full bathrooms, 1,700 sq ft, and an unfinished basement. 3 bedrooms, 2 full bathrooms, 1,209 sq ft, and a 2 car garage. Join At Home In Louisville Real Estate Group this Sunday July 19th 2015 from 2-4pm in Cliffwood. We will be hosting an Open House at this beautiful stand alone townhome! 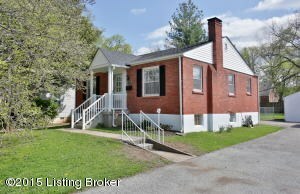 You'll love the location (between Frankfort & Grinstead). Enjoy three bedrooms, 2 1/2 baths, & wonderful condo amenities! Call 502-371-1173 to learn more about this property. See directions below! 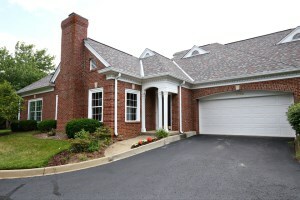 We would love to visit with you this Sunday and show you the highlights of this lovely home in Louisville! Join At Home In Louisville Real Estate Group this Sunday July 12th from 2-4pm at two wonderful Open Houses! 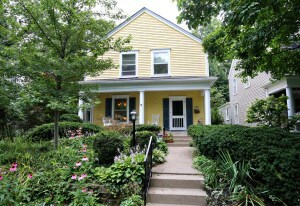 2825 Field Ave is a stunning 3 Bedroom 1 1/2 Bath with lovely hardwood flooring in Crescent Hill. 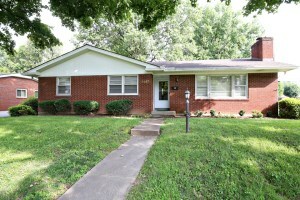 40 Benjamin Blvd is a spacious 4 Bedroom ranch with a walk out basement in Goebel Crossings. Call 502-371-1173 for more information about either of these fantastic homes or visits us at the Open Houses this weekend! Continue to browse our website to view a full list of Open Houses in Louisville. 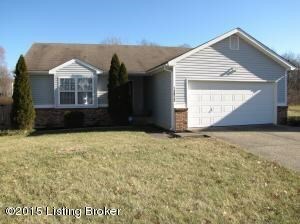 6003 Winding Bluff Ct Louisville KY 40207 is a totally remodeled two Bedroom, two bathroom patio home located in the Ashwood Bluff community. You'll love the beautiful new engineered hardwood floors that flow throughout the Hallway, Study, Kitchen, & Living Room. The Bedrooms have been newly carpeted & include new ceiling fans. 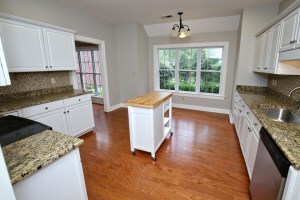 The home has fresh paint & new lighting fixtures throughout! The Living Room greets guests with a lovely gas fireplace, dining room, & decorative hip vault ceiling. 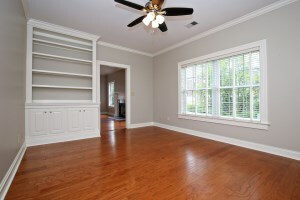 The Study has a new ceiling fan & showcases built in book shelf & crown molding. New owners will love cooking in the Eat In Kitchen with plentiful cabinetry ,recessed lighting, disposal, back splash, & new granite counter tops. Both Bedrooms have walk-in closets and the Master is attached to a Bathroom with new walk in shower & engineered marble double vanity top. The property also has another Full Bath with new vanity & lighting fixture as well as a reglazed bathtub. Both baths include new toilets. The laundry room flooring has been replaced. 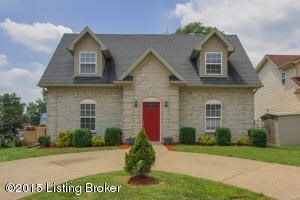 6003 Winding Bluff Ct Louisville KY 40207 conveniently features a two car attached garage. The back patio is a relaxing spot for outdoor dining. Enjoy single story living in a move in ready home with exterior maintenance, groundskeeping, snow removal, trash, water, sewer, and mstr insurance provided by the home owners association. This is a fantastic property to call home. Call 502-371-1173 today for more information about this property or to learn more about Louisville Real Estate. 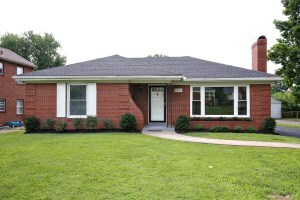 2528 Wendell Ave Louisville KY 40205 is a beautifully updated three bedroom, two bathroom ranch style home. 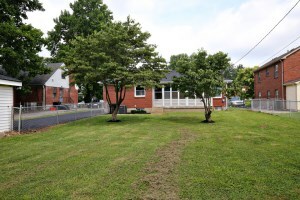 The house sits on a level lot with a fenced in yard just off of Bardstown Road! The home has an impressive number of improvements throughout and is totally ready to welcome its new owner. 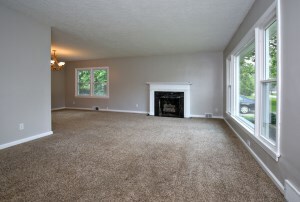 Enter to a spacious Living Room that showcases a lovely Dining Area, picture window, and gas fireplace. You'll love the newly remodeled Kitchen with new cabinets, granite counter tops, garbage disposal, tile backspash, and updated flooring. 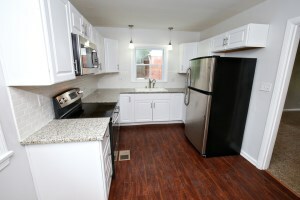 The stainless appliances were added in 2012. The floor plan also includes three good sized Bedrooms and a Full Bath on the first level. Downstairs you'll find a wonderful Family Room with flooring replaced in 2013. The basement also offers a Full Bath, Walk in Closet, Laundry Room, and additional completed Room. The large screened in porch is the perfect place to relax with a glass of lemonade on a summer afternoon, watch the kids play, or entertain guests. 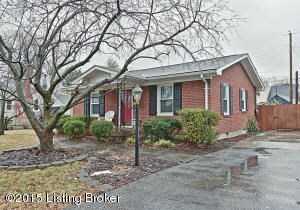 2528 Wendell Ave Louisville KY 40205 has a one car detached garage. In addition to the upgrades listed above, both bathrooms have been updated with tiling & bathtubs added in 2012 and flooring replaced in 2014. The home has been freshly painted. Faucets have been replaced. The current owners also had attic insulation added & the water heater replaced in 2010. In 2012, carpeting, furnace, light fixtures, the front screen door, and double pane windows were also added. Wow! Truly move in ready & in a highly desirable location. Don't wait and call 502-371-1173 today for your private showing of this lovely home in Louisville.